Mercyhurst University Giving Day is a one-day fundraising drive that takes place on May 7, 2019. It is a day for alumni, parents, and friends to come together and help support the Mercyhurst Annual Fund. Help our students live the Mercyhurst motto of Carpe Diem. Your support allows Mercyhurst Lakers to seize the day! Giving Day is extra special this year, as we have a group of generous Trustees who is willing to match all contributions up to $50,000 made to the Mercyhurst Annual Fund on this day. Simply put – that means if you give $100, this matching donor will also give $100, and so your gift has now doubled in value to the Annual Fund. Mercyhurst University is hosting Giving Day, our annual tradition which is a great opportunity for many generations of Mercyhurst graduates, parents, and friends to come together to help support our school. Help us reach $50,000 and 500 donors in just ONE DAY! 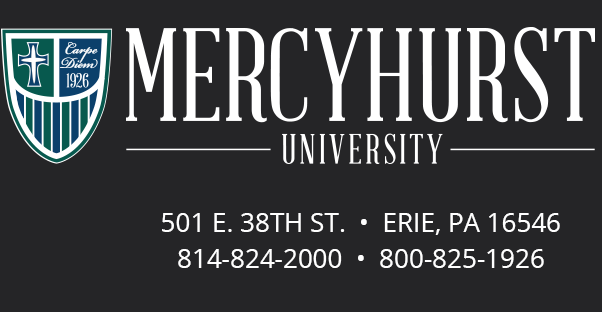 Contact us at alumni@mercyhurst.edu or 814-824-2330 if you have any questions!